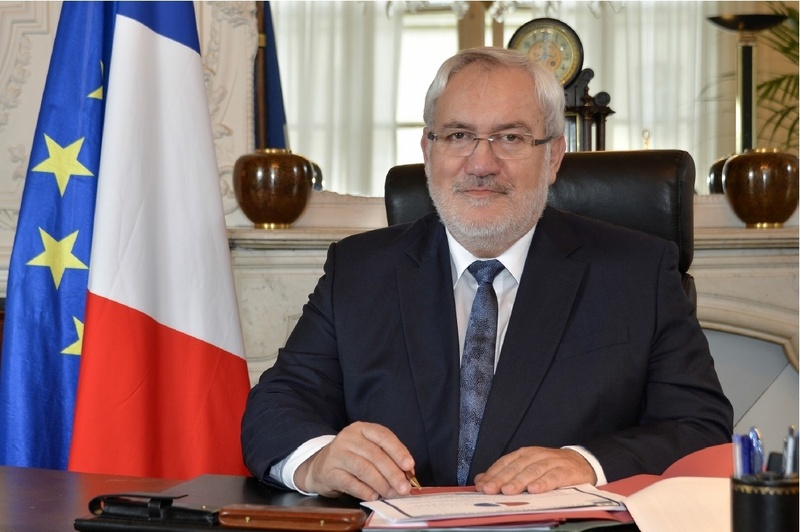 Mr. Jean-Marc Todeschini, French Secretary of State for Veterans and Remembrance, will travel to New Zealand on November 17 and 18 for an official visit focused on projects commemorating France and New Zealand’s shared history in World War I and World War II. M. Jean-Marc Todeschini, Secretary of State for Veterans and Remembrance, attached to the Minister of Defence. Photo: Supplied/French Ministry of Defence. On his first visit to New Zealand, Minister Todeschini will attend events related to the New Zealand Navy’s 75th anniversary in Auckland and meet with New Zealand Minister of Defence, the Honorable Gerry Brownlee. He will also present World War II New Zealand veterans with the French Legion of Honor medals at the Auckland War Memorial Museum, following a wreath-laying ceremony on November 17 in the afternoon. In Wellington on November 18, Minister Todeschini will meet Minister for Veterans Affairs Craig Foss for the unveiling of a commemorative plaque for the French memorial in Wellington’s Pukeahu National War Memorial Park in the morning. The ceremony will start at 9.30am with both ministers paying their respects to the New Zealand Unknown Soldier, then proceeding to the French memorial site, where Minister Todeschini will scatter soil from Longueval. The unveiling of the plaque will take place at 10am, followed by a press conference in the foyer of the Dominion Museum Building, in presence of the winning architect for the memorial. Members of the public are welcome to attend the unveiling of the plaque (from 9.45am onwards). In a speech at centenary commemorations of the Battle of the Somme at Longueval on September 15, while paying tribute to New Zealand soldiers, Minister Todeschini said shared memories of New Zealand involvement at France’s side in World War I and World War II would live on in the memorial, to be inaugurated in 2018. Later in the morning of November 18, Minister Todeschini will meet participants from Wellington high schools in the Shared Histories educational programme, including some of the “Young Ambassadors” who went to France in 2014 and 2016 for an exchange visit to World War I historical sites and French high schools. In his speech at Longueval in September, Minister Todeschini said their presence echoed the bonds which united New Zealand and French soldiers 100 years ago. Minister Todeschini will then visit the World War I collections of the National Library of New Zealand, and take part in a tour of the “Gallipolli – The scale of our war” exhibition at the Te Papa Museum in the afternoon. On November 18 in the evening, the Minister will join Wellington’s French and Francophile community for a function organized by the Alliance française of Wellington. During his stay, he will also have the opportunity to meet many New Zealanders involved in World War I Centenary commemorations. 2016 has seen significant high level engagement between France and New Zealand, including a visit by French Prime Minister Valls to New Zealand in May and a visit by Prime Minister Key to France in July.